The internet is one thing that each and every one needs to have at this moment. And whenever you are in a web browser (we take into account Google Chrome), at some point of time you will surely face some problem or the other. And one of the most popular ones is when you are looking for a web page, and it’s not functioning properly. After putting, the web address and pressing ‘Enter’, you are coming across this “err_spdy_protocol_error” in Chrome. And that is repeatedly happening. In this scenario, you might think that there is some problem with the internet, but you cannot detect that. You do not have to worry at all as this is one problem which is very common and we have a solution for this. Scroll down this web page, and you will come across the various methods that you might follow in order to solve the “err_spdy_protocol_error” in the Google Chrome. As it has been mentioned above, this particular error is one of the most common. And users have come across this one repeatedly. Before getting into what this problem, here are the reasons why this problem might occur. It could well be the reason that the Google Chrome web browser is not up to date. Google often releases new updates of its own browser bringing in new protocols which might render few web pages inaccessible until and unless you update the browser. Often active anti-virus or firewall blocking can be spotted which could well be the reason for such an error. Google always desires to provide its users with the best possible experience while using their in-house web browser. And one of the reasons why the US-based tech giant adopted the SPDY protocol is the fact that this would hasten the loading of a web page. Also, it was expected that this new protocol would enhance the web security as well. But the issue related to the HTTP 2 Vulnerability has forced the developer to support this particular protocol. Hence one user comes across this error often. There are quite a good number of methods that you can follow in order to overcome the problem of coming across the “err_spdy_protocol_error” while using Google Chrome. Few are the basic ones while we have got a more technical guide to fix this issue in Google’s own browser. Restart the web browser, and you might not come across the error this time around. It is one of the basic and simplest ways to come out of this particular error. There are chances that the problem might persist. In that case, scroll down to come across more methods of how to solve “err_spdy_protocol_error” in chrome. Update your Google Chrome web browser. As it has been stated above, the reason behind the popping up of this problem could well be the browser is not being regularly updated. So update the current version of the browser that you are using and check out whether the problem still crops up or not. To update Google Chrome, go to the ‘Settings’ menu (which you can spot on the top right-hand corner of the browser) and click on ‘About Chrome’. If you are not using the updated version, it will get updated immediately. Now even after going through the first two methods, if you come up with the ‘err_spdy_protocol_error’ in Chrome yet again, you can switch to the ‘Incognito Window’. You might not face the error while loading that particular web page in the ‘incognito’ window. (You can go to the ‘Chrome’ button on the Taskbar and ‘right-click’ on it. Once you do that, you can find the ‘New Incognito Window’ option. Click on that, and the new incognito window will open). The fourth one is a technical method that you should follow in case of a situation when all the above methods fail to solve the “err_spdy_protocol_error” in chrome. And here we are, with the steps that you should go through. Step 1: Open Google Chrome on your device. Go the web address and type in “//net-internals/#events&q=type:SPDY_SESSION%20is:active”. Step 2: Spot the arrow on the top-right corner and click on it. A new drop-down box will appear where you can find “Flush Sockets”. Click on it and you are done with the fixation of the problem. Instead of the above-mentioned method, you can opt for another method which is also a technical one. 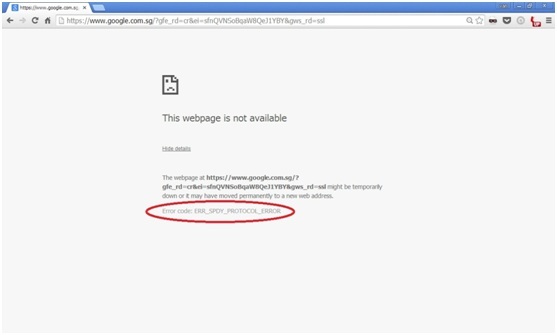 All that you will have to do in order to fix the “err_spdy_protocol_error” in Google Chrome is provided as follows. Go to the start menu and find out “Command Prompter”. Open it and type in the commands as provided. You should maintain the sequence as provided. 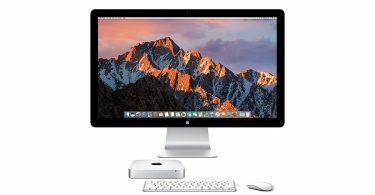 Once you are over with the process, you will have to restart your PC. The next time you launch Google Chrome and look for the website, you will surely not come across the “err_spdy_protocol_error” anymore. 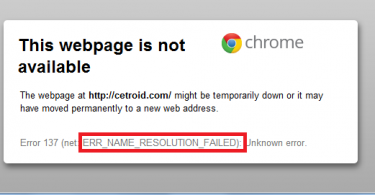 Thus you are now aware of how to fix the “err_spdy_protocol_error” in Chrome. It is a pretty simple process as you can understand once you go through the steps. While going through this, if you come across any problem, feel free to leave a comment. We’re here to find a solution to your problem as early as possible.